Welcome to Clearview Tire & Auto Service, Hopkinsville, KY's most respected name in vehicle service since 1952. Close to Fort Campbell, we are a complete maintenance, diagnostic and vehicle repair center. Come to us for all your vehicle needs. Most repairs are covered by our Certified Auto Repair Nationwide Warranty for 12 month / 12,000 miles. And, if your service is $25 or more, you earn a reward of a year Free Towing and Roadside Assistance, good coast-to-coast. See our Warranty page for details. Call, click or stop by to schedule an appointment. WE FINANCE. 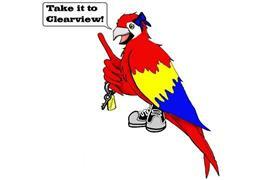 Spend $199 or more on our Clearview credit card & get 6 months no interest.